I’ve never met Malin Morin of the City of Groningen in The Netherlands, but I’m confident we’d be best friends. 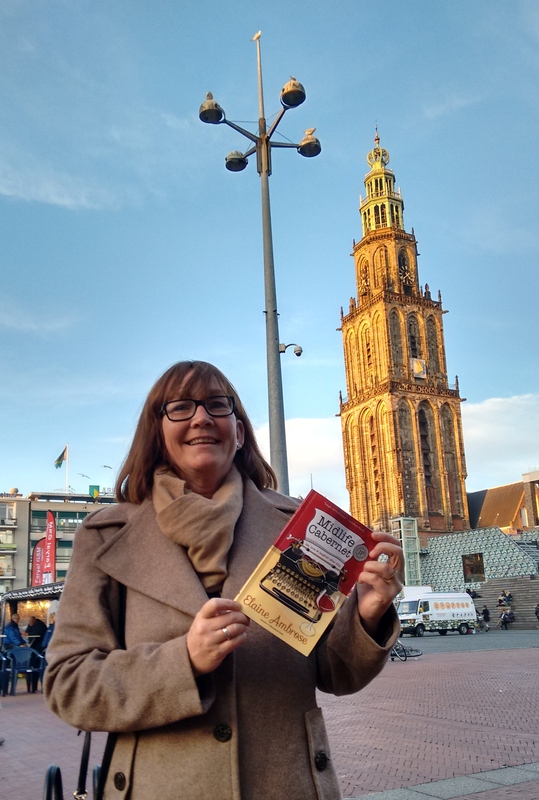 She emailed me a photograph of her holding my book Midlife Cabernet in front of the Martini Tower. Obviously, she has excellent appreciation for comedic literature. I was intrigued by Malin and wanted to know more about a tower named after a sophisticated funnel of cold vodka, so I researched the history of the beautiful building. The bell tower was constructed with a Catholic church during the 15th century, more than 500 years ago. It was named for the patron saint, St. Martin, so nothing was shaken or stirred in the dedication. The tower is 318 feet tall, contains a 62-bell carillon, and houses one of the largest Baroque organs in Europe. I see no reason why I shouldn’t travel there to meet and celebrate with Malin. Her email contained delightful comments, so I’m exploiting them as a positive book review. To cause the evil eye in Europe is a great claim to fame for me. I’m now on a mission to provoke irritated glances throughout the world. I’ve already achieved documented success with that goal in the United States. 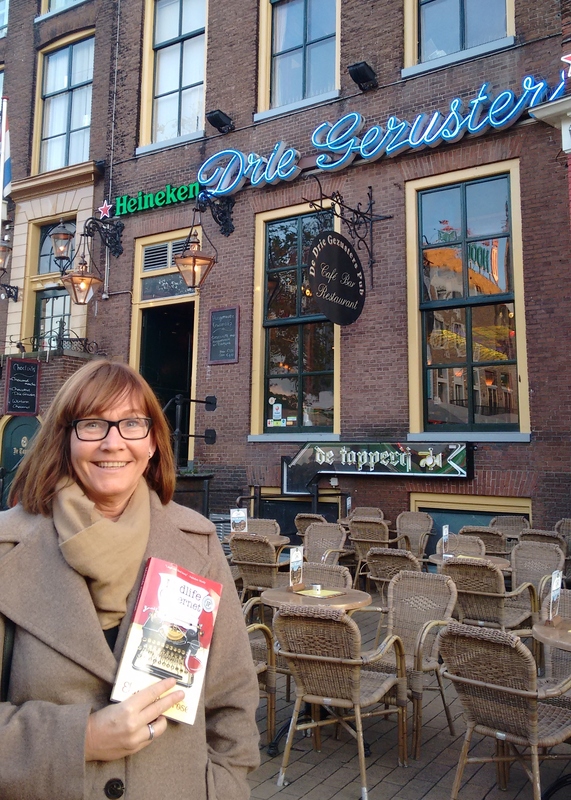 Malin also included a photograph taken in front of a local Dutch pub. If you can’t enjoy a bold Cabernet, you might as well swill a cold Heineken while reading about the joys of getting older and loving the journey. She ended her email with an invitation to visit her and noted that her family’s wine cellar is “stocked with Cabernet and other goodies.” Indeed, we will become best friends. Here’s one final tidbit I discovered from my research. St. Martin was born more than 2,000 years ago and traveled extensively throughout Europe sharing Christianity which, at the time, still was a minor faith. He’s best known for sharing his cloak with a poor man and is called the patron saint of beggars. Because his celebration occurs near the grape harvest, he’s also a patron saint of vintners. He also worked with St. Ambrose from Italy, and I’m sure he was my ancestor. I feel called to honor them by traveling to Europe, sharing my coat, and savoring local wines. Cheers, Malin. I’m searching for my passport.